And what better song to start us off than Bohemian Rhapsody. 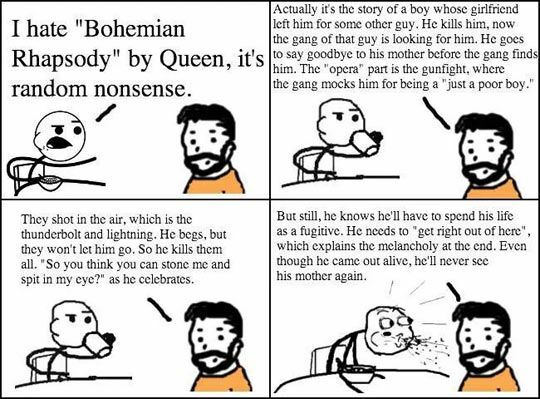 Yep, this is one of my favorite Queen songs. It was released in 1975 and topped the charts worldwide, being number one on many country’s charts. The song was mostly written by Freddie Mercury, took three weeks to record, and was one of the most expensive songs to create at the time. Some believe the lyrics are nonsense but the song was created to take on features of the Bohemian lifestyle but also included more complex meanings of life. This song is up there with American Pie in its constant analyzation. This below was one I particularly liked. Now let’s talk about the music. First of all with this song I sing EVERYTHING! And this also has one of the best guitar solos. How many of you out there like free things? I know I do. So that is why I am doing a giveaway. Now my first giveaway didn’t go so well, no one entered. So this time I am doing it through rafflecopter. In this giveaway you can win a copy of the book Death Comes to Pemberley, a hand decorated mug with an Austen quote, and an Austen inspired hair clip. You should all follow my link below to enter! So often when we looks at ourselves we see nothing we like. We think that we aren’t smart enough, pretty enough, handsome enough, successful enough, etc. Just not living up to the expectations we and society build up. But whether they are cat or woman, one thing remains the same. Today is Tax day. And I am sure most of you are feeling like me. Now I understand the need for taxes and how we have to pay them; but they are definitely not fun. It’s scary to think about how much you have to collect and nerve-racking to fill out every form. I feel faint just thinking about it. Whenever this happens I feel as if I don’t know how “to adult”. So I work four jobs, one of them being my own business; and I still don’t have enough to fully live on my own. And they wanted me to pay an exorbitant amount in taxes. I started to feel like the poor villagers in Robin Hood. I was lucky to eventually bring price down of what I have to pay. But pay I still had to do. With only a $10 refund check from California. 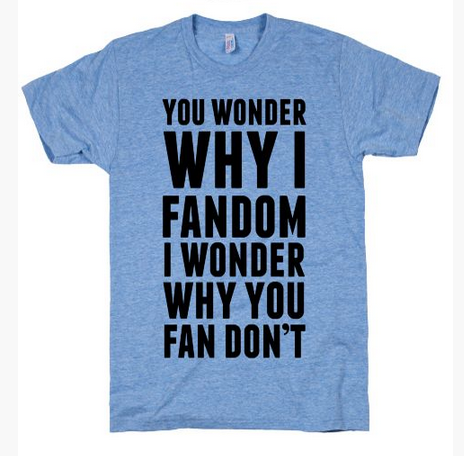 So here we go with another fandom post. You can see some things I love, and maybe check them out yourself. Step by Step was the ’90s Brady Bunch. In this two families were melded together but it was far from the happy, perfect bond shown in the ’60s. This kids didn’t like each other at first and spent time trying to get along, they dealt with more serious issues; but in the end always had family fun. So we have Frank Lambert (Patrick Duffy), divorced father of three. His eldest is J.T., a cool jock, ladies man, and doesn’t care about school; Brandon, the cute baby boy; and Al, his daughter who has been raised as a boy. Carol Foster (Suzanne Somers) is a widowed beautician with three children of her own: Dana, brainy, beautiful, and sarcastic; Karen, the beauty queen; and Donald the nerdiest nerd that you ever did see. Later Carol and Frank have a daughter named Lily. Throw in a talented but not brainy nephew Cody, a French male stylist Jean-Luc, and the regular sitcom zaniness and you have a winner of a show. 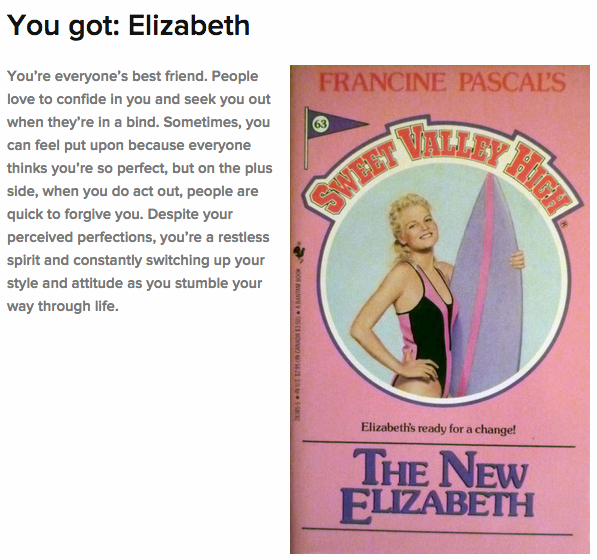 Sweet Valley High was a book series I started reading in the fifth grade. Previously I had read a few books of the Sweet Valley Twins series, but couldn’t get into it. I was looking for something to do my book report on, and just checking out the stacks when I came upon Sweet Valley High: The Stolen Diary. I liked the story and started reading the rest of the series. As I kid I really liked the series and wanted to even live in their idealic Californian world, and I thought the stories were fun and interesting. As an adult I know they weren’t the best written book. Most of them are cheesy, silly, or sometimes don’t make sense; but these were the ’80s-’90s versions of Gossip Girl or One Tree Hill except with a different type of drama. And the fact that Elizabeth preaches about commitment to her sister Jessica, yet cheats on her boyfriend way more than her sister. So the story follows the twin sisters, Elizabeth and Jessica Wakefield. Both are juniors, blonde, 5’6, and size sixes. Elizabeth is the smart, responsible one who dreams of being a journalist or writer. Jessica is the fashionable, social butterfly, cheerleader that dreams of parties and popularity. Yes as the series progressed the writers changed, and while I didn’t like some of the alterations I still continued to read and collect (still do so today) the novels. What can I say? They are such a big part of my childhood they bring on a tsunami of nostalgia. 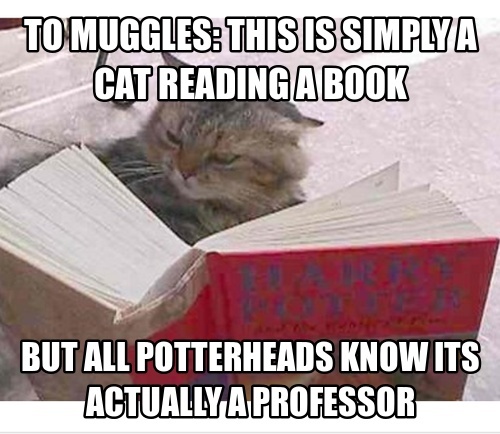 I continued reading the books, but didn;t car for the Senior Year or College Years. For me it was just the junior high one. I always wanted Elizabeth abd Todd togther, although as an adult I see they didn’t have the best relationship; and I really liked Jessica with Ken Matthews or Bruce Patman. I don’t know why, but I shipped Jessica and Bruce so much. 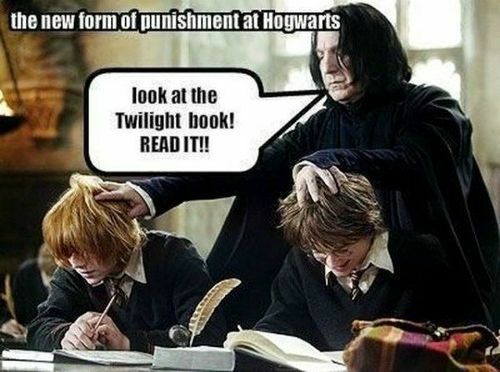 The books were turned into a TV series which sort-of-not-really followed the book series. It was fun to watch and you see a lot of different stars move through. Maggie Lawson (Psych) is Elizabeth Wakefield, Jason David Frank (Power Rangers) as A.J. Morgan, and my introduction to this mega-hottie Jensen Ackles as Enid’s cousin. So my only knowledge of Supernatural before my friend convinced me to watch the show with her was that it came on before Las Vegas, and that the director used dark lighting. However, that all changed when my friend was introducing the show to another friend. I walked in as the episode had just begun, and the next thing you know: I was hooked. So the show is about two brothers, Dean and Sam Winchester; who have spent their lives hunting down Demons, Ghosts, Vampires, Djinns, Wendingos, etc; pretty much anything “supernatural”. Sam tried to leave the life behind and live a normal life as a lawyer. However, he finds himself drawn back in when his older brother Dean asks for his help in tracking down their missing father and to avenge the death of his girlfriend. The first five seasons deal with searching for their father, uncovering a conspiracy, and trying to stop the Apocalypse. While I still watch the show and enjoy the new episodes, those first five seasons were so fantastic and my favorites. So let’s talk about the boys, Dean and Sam. Dean is the brawny, white knight; caring and compassionate willing to sacrifice himself for others. As their dad was MIA for their early lives, he raised same and sometimes treats him more as his child than a younger brother. Sam is more independent, intelligent, a researcher, cool, collected, and a planner. He is just as caring and compassionate; but more the general willing to create a strategy rather than run in guns blazing. They also are funny and interesting. And the fact that they are three years apart reminds me of my older sister and I. We are three years apart and she is a Dean, while I am Sam. This was exhibited in the episode Tall Tales. Just trade computer for hair dryer and it is us! Now being a Christian, I may not agree with the theology they use (as it appears to be a combination of Catholicism and Calvinism); but I enjoy the show anyway. One of the main reasons why? He’s everything you’d want (personality and interests-wise) in a man and in one incredible package. Too bad he doesn’t exist in real life. Another thing I love about the show is the music. They have all the classic songs that I adore. It’s nice to have something that plays good music instead of todays boring genres. 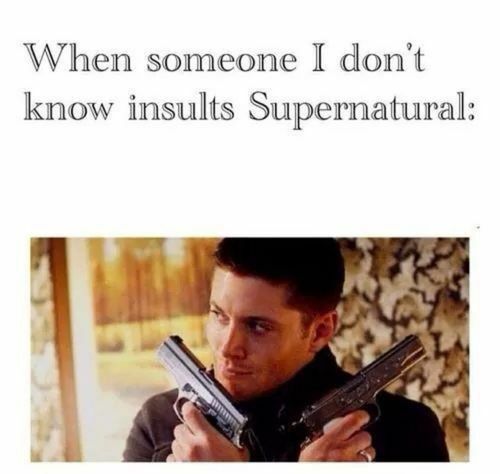 Yep, all part of being a Supernatural fan. 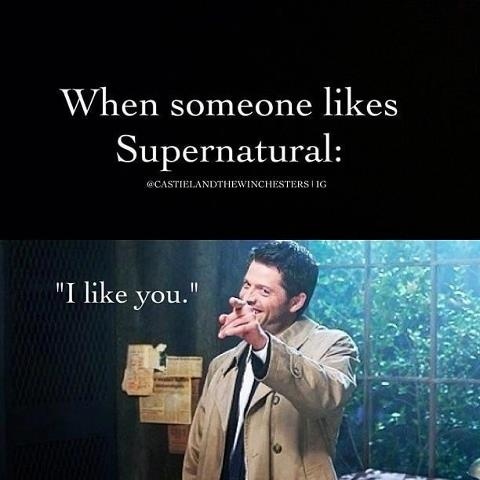 But while I have sad feelings when watching, I also enjoy every moment I see the Winchesters on screen. I like to think that I am strong-willed and able to stand up to any pressure. 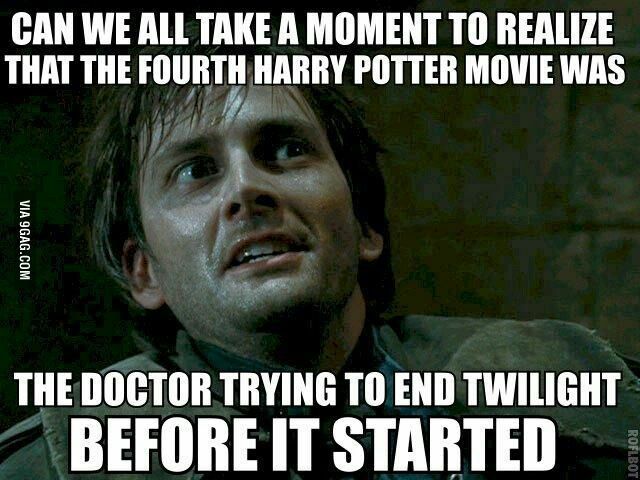 You know if this happened it would be the ultimate torture. Everyone would behave and do what they were told. Too bad he didn’t accomplish it.